Fatema Dewji pulls no punches in her new inside account of the near-collapse and rescue of one of the largest business houses in Africa. Fatema is recognised as among Africa’s most influential women. She is both marketing head of MeTL and founder of Educate, Empower & Inspire – a platform she uses to inspire those around her. She has combined both roles in her just-launched book, Marketing for an African powerhouse: how to get your brand ahead of the herd. Pick up your copy here! 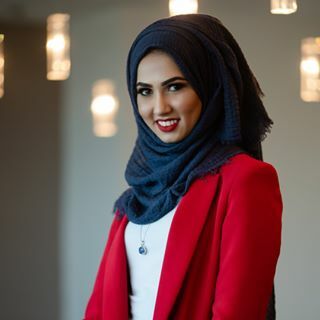 The book details the specific marketing campaigns that helped save the company, but Fatema also talks about changing mindsets, about teamwork, humility and giving back. About personal growth, both in business and in life. Educate, Empower & Inspire hosts her videos covering motivational messages of gratitude, self-worth and emotional resilience, as well as marketing and leadership topics. She has also conducted over 50 interviews with fascinating people from different backgrounds. Inspired herself by her father Gulamabbas Dewji,the MeTL founder who grew one truckload of produce into a leading business, she hopes to inspire others – and help them in turn inspire those around them. ‘My vision is to make a difference globally,’ she says. * An avid golfer since the age of six, Fatema Dewji grew up in Tanzania and studied Finance and Managementat Georgetown University. She joined MeTL in 2010.